The Document Foundation announced LibreOffice 6.1 today, a release which includes a new icon theme called Colibre, native Gtk3 dialogs (if the Gtk3 backend is used), faster image handling, improved EPUB export, and more. The free and open source office suite LibreOffice 6.1 includes a new icon theme, called Colibre, with this release. The icon theme is based on Microsoft's icon design guidelines, and its purpose is to make the application more visually appealing to users coming from the Windows environment. Calibre is set as the default icon theme on Windows. On Gnome-based desktop environments, elementary is now the default icon theme, while Industrial and Oxygen icon themes were removed, but were made available as extensions. LibreOffice also includes reworked image handling with the latest 6.1 release, which is a lot faster thanks to the improved lifecycle handling and a new graphic manager. Support vertical writing by export writing-mode in the page style as CSS body styles. LibreOffice 6.1 also includes various LibreOffice Online improvements, and other changes. Read the complete release notes here. 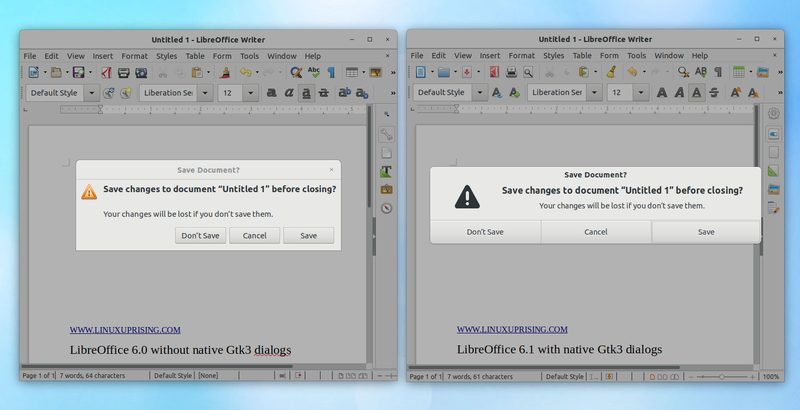 LibreOffice 6.1 ships with the newest features and is targeted at early adopters and power users. For regular and enterprise users, the more mature LibreOffice 6.0 is recommended. At the time I'm writing this, FlatHub has yet to be updated with LibreOffice 6.1. The Snap Store offers LibreOffice 6.1 in the candidate channel for now (it uses the Gtk3 backend). 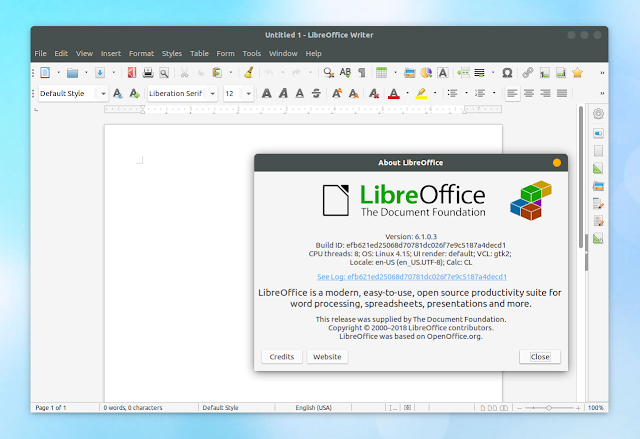 Update: The LibreOffice AppImage was updated to version 6.1 (it's not using the Gtk3 backend). Please post civil and on-topic comments. Commenting guidelines.